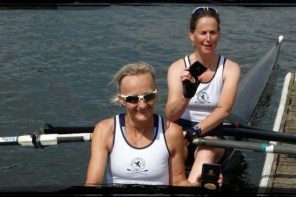 Following their win at the GB v France regatta, Henley Rowing Club junior women’s squad was on representative duty again at the 52nd Home International Regatta in Cork on Saturday. 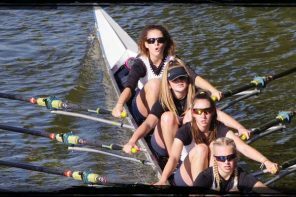 Two weeks previously, the Henley Junior Women’s four had battled against Glasgow Academy at the British Junior Championships winning by a 0.27 second photo-finish, with Aberdeen Schools finishing a close third. 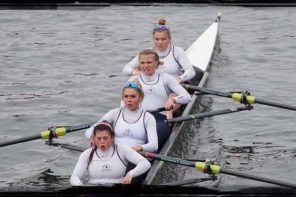 This weekend saw the Henley and Aberdeen crews face each other again, this time representing England and Scotland respectively in the Junior Women’s coxless fours event. Racing as the England boat, the Henley crew of Ella Morgan, Kryssie Steiger, Alexis Perkins and Emily Pimlott arrived in Cork with high expectations following their season of triumphs in all the major junior regattas this season. From the start, it was clear that this race was going to be another fierce battle between the English and Scottish crews. The two adversaries left the Welsh and Irish crews well behind them in the first third of the race. The lead changed several times, with each boat never gaining more than a quarter of a length as the two crews pushed ahead and responded accordingly. With 250m to go, the Scottish girls made their final push to try and extend a marginal lead over the England girls. In a similar race to the British Junior Championships, the Henley crew in the England boat refused to relinquish the race and raised their boat speed in a final push to the line. In a second photo finish in two weeks, the Scottish and English crews waited in silence for the result from the umpires. The verdict was an England win by 0.27 seconds, giving the Henley girls a jubilant victory in the closest race of the regatta. 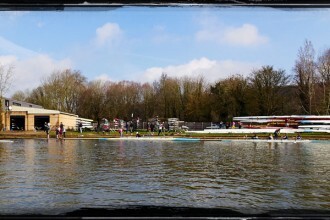 The Henley girls victory was crucial in the regatta scores. The England Junior Women’s squad won overall by a single point margin, with Scotland in second place, and Ireland and Wales taking joint third.